The starting point for A Brand New Darkness is the 1983 EP The Reptile House by Leeds-based goth-rock group The Sisters of Mercy. Two tracks on the 25-minute record are specifically cited, Lights and Valentine. They form a dark, moody evocation of a dystopian society. The exhibition is curated by Abridged, the Derry-based creative hub probably best known for the magazine of the same name. Published roughly three times a year, each issue marries visual and literary material under a general thematic heading. That heading is Relapse in the current issue, a concept that ties in with the rationale of A Brand New Darkness. In its backgound information online, Abridged (personified by Gregory McCartney and Susanna Galbraith) mention TS Eliot and The Sisters of Mercy among its “many and varied” influences. In The Reptile House TS Eliot meets The Sisters of Mercy. Against an apocalyptic background, lyricist and vocalist Andrew Eldritch envisages a populace in a state of inertia induced by a combination of “drugs, reality television and the smack of firm government”. In both Relapse and A Brand New Darkness, Abridged sees a recurrence of woes we might have presumed put behind us and consigned to history. That is, such things as the racial tensions, geopolitical manoeuvring, cold war rhetoric, neoliberal economic policies and an anti-devolution mindset, all associated with the Thatcher era, have re-emerged in different form with even greater force more recently. In short, Abridged are saying, we’ve relapsed. And the exhibition looks to this moment, not with an eye to prescribing solutions, but to test the cultural temperature. That may still sound a bit ambitious in its sweep for what is, at heart, a modest enough if very good show. True, nuclear and other apocalypses do feature. Racism is alluded to, as is the question of how digital communications technologies have an impact on personal, social and political life. Plus an ambiguous symbolic interpolation that might be optimistic – or not. 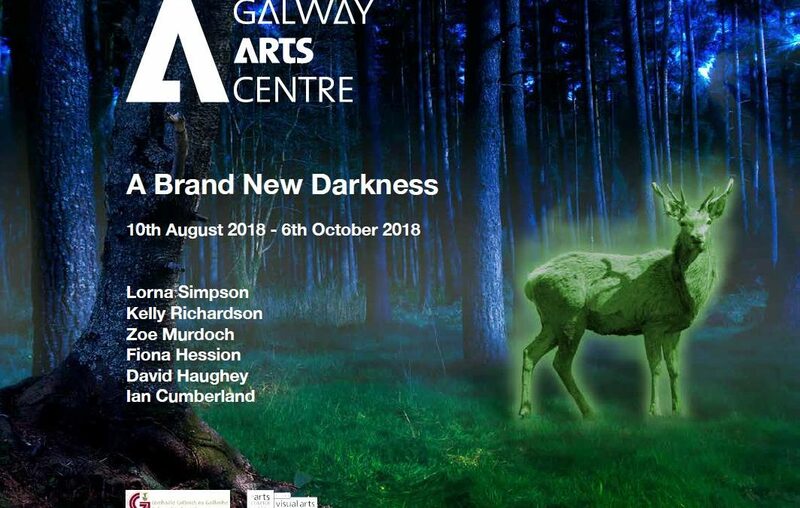 That’s Kelly Richardson’s Twilight Avenger, a video in which an ethereal stag, an apparition bathed in luminous green, appears in a woodland setting. This nervous beast may, the suggestion is, “represent the dawn of a new age or the defiant last gasp of this one”. Richardson, from Canada but based in the UK, uses digital imaging techniques in exploring the in-between world of contemporary urban culture, compounded of real and electronically imagined landscapes.